There are many advantages of having a modular display board or most famously known as our panel and pole range. 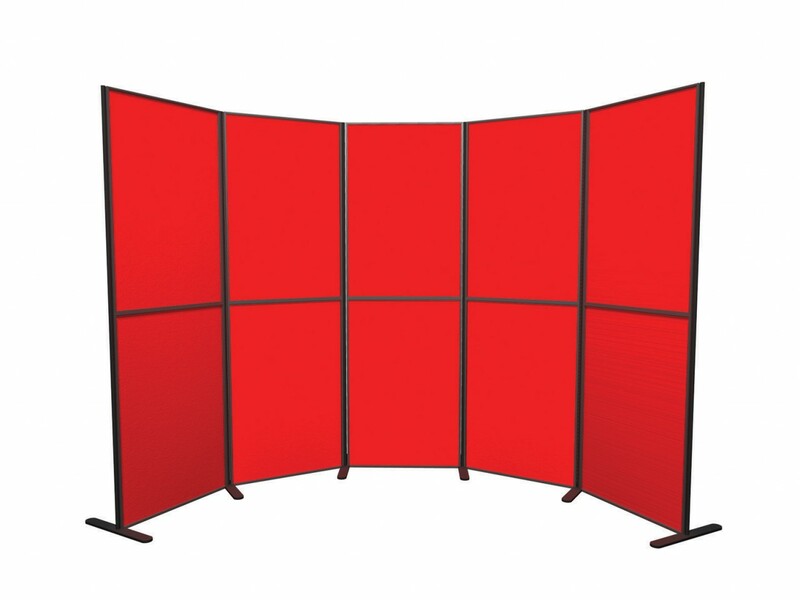 This range of display boards comes with separate display panels and poles that are easy to put together in different configurations. This allows you to create a unique stand for each event you go to. Making them ideal for use at exhibitions, trade shows, marketing events, art exhibitions and for use in schools and colleges. Whether your venue is an exhibition, a fair, an arena or shopping mall, you will soon be aware of the benefits of display boards. The pole and panel system are an extremely lightweight solution which is a definite positive factor when having to take your displays to different venues. Although the display board kits are incredibly lightweight, they are also a sturdy solution. Another key benefit of modular display board’s are the speed at which you can assemble them. We all know that time is money, and the sooner you are able to make the visitors aware that you are ready to advertise or sell, the better. It also comes with a carry bag for easy transport and storage, enabling a stress-free event set up. Due to their versatility, the modular display boards can be used double sided giving you that extra piece of advertising which helps get across your message to passers-by. Once your graphics are attached, display boards will really look professional and attract interest. Whether your preference is for having a landscape- or a portrait-style display, it is up to you to decide which type of display you require. It is easy to add more display panels to your display. With a choice of 13 different panel colours to choose from, you are bound to find one that will enhance your display, or perhaps you would like to choose a dual or multi-coloured display. The display is finished in high impact PVC edging in grey or now available in black. You can complement your display by adding spotlights at the top of the display to really make the display stand out. These are easily attached and completely brighten up the whole display area. Modular display boards are available with 4 panels, 6 panels, 8 panels and 10 panels so you are truly able to personalise your display stand. A key feature to picking the right modular display board for you is to carefully consider what you need to put on them. You do not want to overcrowd the board that it looks messy but you also don’t want to make it look lost. To ensure your display remains sturdy, the displays come with metal bases that are tough and ensure that the display does not move about. These display stands come with an incredible 5 year hardware guarantee. So, for a cost-effective and stylish way of advertising and exhibiting, you just can’t go wrong. We are all aware how fierce competition is and it is important to make sure you stand out from the crowd and present your company or brand in the most professional way as possible. Whatever your occasion, there will be a modular display board that will suit your needs, whether it’s at an airport, inside a retail store or even a garden fete, there will be one exactly right for your requirements. For more information on modular display board range, call us on 01733 511030.